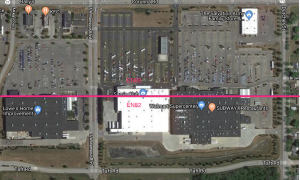 WMPLOTA is a special event and award scheme for amateur radio satellite operators that encourages the practice of portable operation in the ubiqitous and easily accessible location of Walmart parking lots. WMPLOTA is now held annually on the first weekend in July. Be safe and operate in a way to that is in no way impactful to the Walmart store or its customers. Participation in WMPLOTA, just like SOTA, is at your own risk. Follow us on Twitter @WMPLOTA and post using hashtag #WMPLOTA! Get ready for the 2nd Annual WMPLOTA! It’s like déjà vu all over again, baby! The 2nd Annual WMPLOTA will take place starting July 6, 2019 at 00:00 UTC and ending July 7 at 23:59 UTC. This year also happens to be the 50th Anniversary of AMSAT! Put this on your calendar, set your alarm clock, charge your radios! The first weekend in July was chosen for WMPLOTA, putting it forevevermore in temporal proximity to July 2, the birthday of Walmart when Sam Walton opened the first store in Rogers, Arkansas in 1962. Click here for Scheduled Activations. 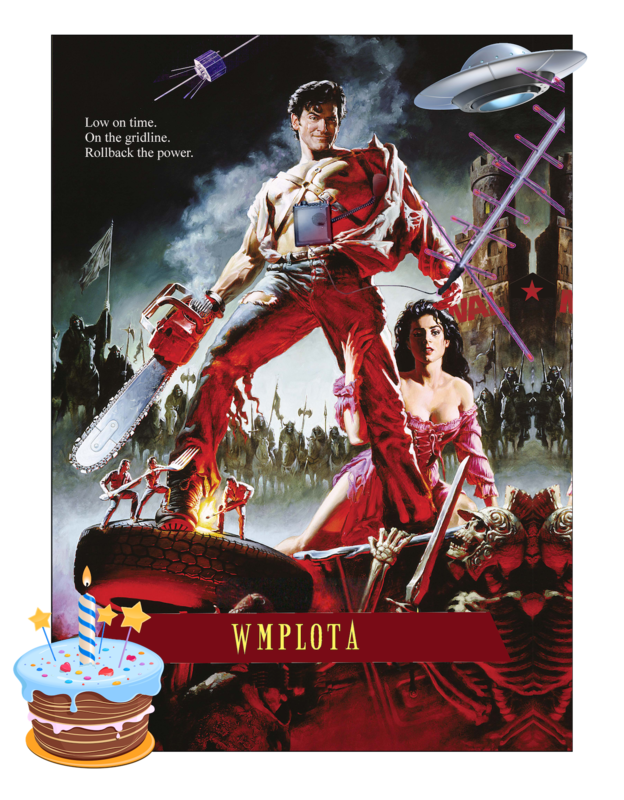 Listen for additional popup activations on the air over the WMPLOTA Weekend! The Rules and Awards for WMPLOTA 2019 are still in development. View the Original WMPLOTA Rules and Awards. QSL Cards for WMPLOTA are available. See here for details. Oh, yes! Were you not there last year? We are doing this event and awards scheme as described. How seriously the participants are taking it is perhaps another matter. Walmart Parking Lots on the Air begins on the date and time announced. To participate in this scheme you do not need to register in advance or pay any dues. You simply need to operate an amateur radio satellite station, and then choose to be an WMPLOTA Associate (activator), who operates portable from any Walmart parking lot, or a Shopper (chaser) operating from another location and contacting Associates. When making amateur radio contacts, it is common practice to exchange your callsign and grid square during the contact. WMPLOTA Associates are encouraged to simply mention “Walmart” or their Walmart Store Number on-air during the contact, which will be used by anyone participating in the awards scheme. The Walmart Store Number can be found on the store receipt or through the Walmart Store Finder online. We no longer recommend using the /wm suffix, as this was confusing entries into LoTW. Associates, please take a picture of your operating location, including a branded shopping cart or a recognizable portion of a Walmart (or Sam’s Club) branded store. Selfies are encouraged, and extra points will be awarded for any operating picture that includes a Walmart greeter or security staff member. Big points and notoriety is yours if you operate shopping cart mobile /wm/m/p, but be careful and wear a high-vis vest! Pictures and logs can be submitted for award credit. More to follow on this later. What is the awards scheme for WMPLOTA? Please view and also participate in defining the awards scheme on the WMPLOTA Wiki. The first ever WMPLOTA took place April 28 and April 29, 2018 with an encore on July 2, 2018. 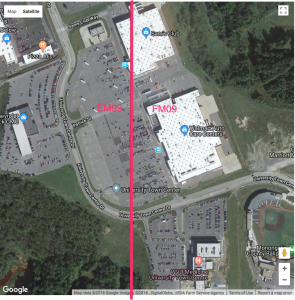 Prior to that, on April 14 2018, Chris K7TAB operated from the EM99/FM09 gridline, which just happened to run through a Walmart parking lot in Morgantown, WV. 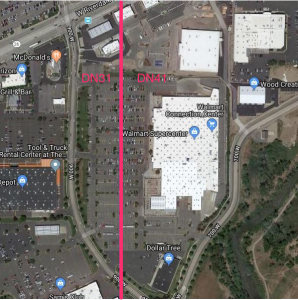 When Chris posted this activation to Twitter, many other rovers in the amateur satellite community mentioned how they also had operated from Walmart parking lots across the country, which also happened to be conveniently located on gridlines. 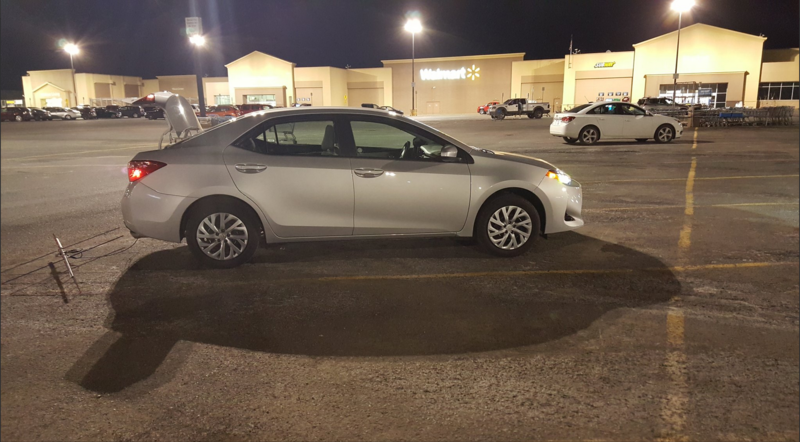 Walmart parking lots make a decent portable operating location in general, especially when pressed for time, as the wide open space allows for working satellite passes of varying elevations without needing to drive into a more remote location in the countryside. Walmart stores also offer a location that is friendly to longterm parking, are a place where unconventional dress code and accessories like strapping on SSB radios and waving purple antennas at they sky are still considered inconspicous and unremarkable, and have the convenient availability of snacks and refreshments at everyday low prices.